..And I am back with a haul! 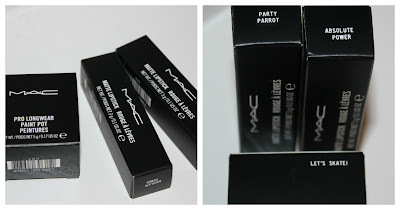 All the recent mess cannot stop me to buy from the new Mac collection, especially because there were some lipsticks I didn't have the chance to purchase with the ''Iris Apfel'' collection and have been repromoted in this one. 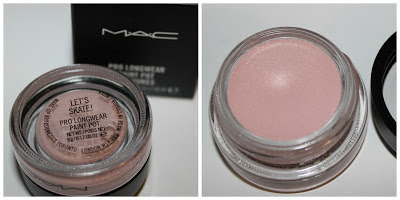 So thank you one more time to the fantastic Mac counter in House of Fraser in Manchester, all the girls are very helpful in giving you good advices. Party parrot is a pretty bold shade, it's a orange-pinkish-peachy tone, very rich and bright. Please do yourself a favour if you wanna wear this: exfoliate your lips first and bleach your teeth. This lipstick will make yellow teeth stand out even more, there is no way you will get away with it. I am thinking about wearing this with a full black outfit and just black cat eye eyeliner. The second one, absolute power, is a deep mat blue based shade. It really suits my skin tone but I am sure will look stunning even if you've got paler skin. I have been wearing this quite a lot recently, it's quite long lasting, even after a meal will leave a red tint on your lips. It can dry out your lips a little bit but nothing a good layer of Vaseline cannot solve. 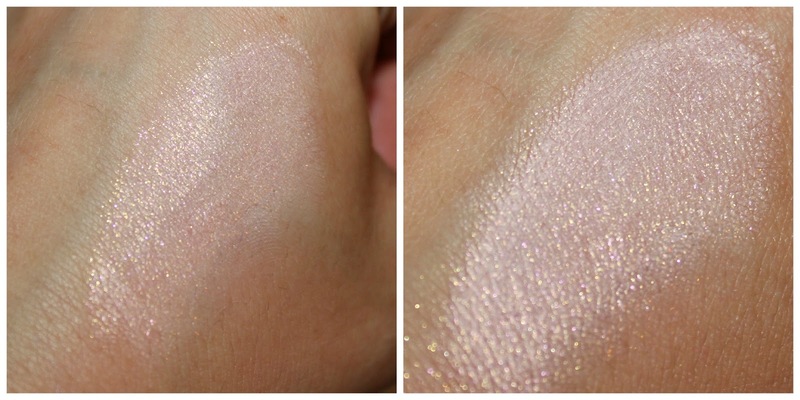 Last product is "let's skate"; I am not sure the paint pot is from the collection itself, but there was a selection of new shade available out on the same day. It's a very versatile shade, a frost pink with gold undertone, that can be packed to get more coverage. I am using this by itself or like a base, as all the pain pots. In the picture on the left I used a flat synthetic brush, whilst in the one on the right I packed it with my finger. Can you notice the quite subtle golden sparkle? That is what I love most of this paint pot, added to the fact that it doesn't crease at all. Did you purchase anything from the collection or are you saving from the next ones? Anything nice coming out soon?